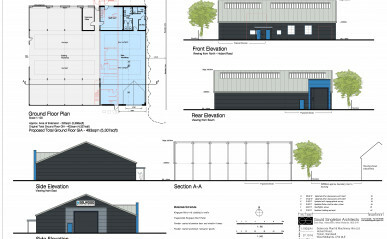 After a review of current facilities on site at Hobart Road, Tipton we received planning permission for an extension and improvement works for Selwoods Plant & Hire. The works see an extended and improved workshop area along with a separate building for office and meeting spaces. The design has been carefully considered to retain the landscape buffer to the residential properties alongside Brunell Drive to the east of the site.